If you are looking for the best android firewall app to install on your smartphone, then this blog post would help you choose the excellent one for high security! The Android platform is not a stranger to the smartphone users today. Even though you are an iOS user, you know what the popular mobile platform is (It’s Android, period). You might have heard of the new ransomware WannaCry that took over about a million computers (mostly Windows) all over the globe. Sneakers target Windows because it is the most popular operating system for computers. If anyone chooses to target mobile users, certainly Android users will suffer first. That’s why you have to analyze the data traffic on your Android phone and restrict the suspicious transfers. 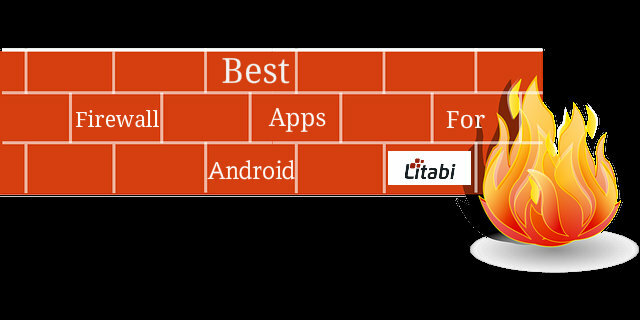 What else can you choose other than the best firewall app for Android gadgets? I hope you know what a firewall simply means. In short, it is a program dedicated to closely examining the network usage on your device and blocks malicious traffic. I have handpicked a few top firewall applications for Android here. Let’s jump right into it now! NetGuard is one of the simplest no root Firewall apps for Android. You have to access the application to create a VPN connection, to begin with. Once you finish the configuration, NetGuard will provide you with a list of applications. You can choose between WiFi and mobile data to give them the internet connectivity. On the main screen, you can turn NetGuard on or off. The Internet via mobile data is an expensive affair when roaming. So, NetGuard includes an option, “Block when roaming” to disable mobile data while you roam around outside your state. NoRoot Firewall doesn’t require root access, as you can perceive from the name itself. Just like any other firewall apps for Android do, NRF also begins with creating a VPN connection on your device. On the app interface, you get multiple tabs. Of those, Apps tab helps you list the trusted applications so that the firewall doesn’t vigorously restrict the data traffic in-and-out of them. The home tab presents the main screen, where you can turn the firewall on or off altogether. The Pending Access tab shows the applications that requested internet access from the time NoRoot Firewall is installed. You can allow this best Android firewall to use either WiFi or mobile data. It is possible to set the usage of both as well. Next up in this list of best firewall apps for Android is LostNet NoRoot Firewall. Both free and premium versions of the application are available on the Play Store. Once you open this firewall app for Android after the installation, you will see three tabs. The home tab gives you an option to toggle the protection on or off. Given that Dropbox uses too many data and most of the Android malware are of Russian origin, you get options to turn those two as well. Apps tab helps you analyze the data transfer of individual app and limit their internet access. The third tab labeled Geo includes an option to block region-wise traffic. You know a rooted device gives us a deep access to the file system and internal functions of an Android device. Obviously, you can positively exploit rooting for the protection of your device as well. AFWall+ is the best firewall for rooted Android. You get many features that no other Android firewall applications offer here. Of course, AFWall+ analyzes the data traffic on your smartphone and gets you with options to restrict what you want. Moreover, you can lock your applications with pattern or pin and it is possible to even hide the application icon as well. This firewall Android app lets you control the internet access of apps with different profiles (like those you might have familiarized on Tasker). Mobiwol is yet another best Android firewall app with simple user interface. You won’t have to rack your brain and spend too much time to get the hang of it. The home screen shows you five different options. The first one, Firewall status implies the current status of the firewall app. You can tap on it to turn the protection on or off. Firewall rules give you a list of applications installed on your screen. You can limit the connectivity or Wifi, mobile data or both. An option to allow foreground only activities is also available. The Connection logs present the network data usage details of applications. You can configure the options for the app from Firewall settings. The last one, Data usage does what it says. You get to know the day-by-day network traffic statistics, here. As a firewall app that needs no root access, NoRoot Data Firewall gives a fairly good number of features. Similar to any other app mentioned here, you can control the internet connectivity for the individual app from a list. When one app connects to the internet for the first time, NoRoot Data Firewall displays a notification. A unique feature of this No root firewall app is Night Mode, which vigilantly analyzes the data traffic in and out of your device if you leave the packet data on, throughout the entire night. You can also set a custom DNS address on this best firewall for Android phone. The IP and domain filters available on NoRoot Data Firewall give you two sensible options to keep your device safe out of all malicious attempts. You have got six best firewall apps for Android now. Some of the applications have premium versions too, which you can choose after trying out the premium ones. 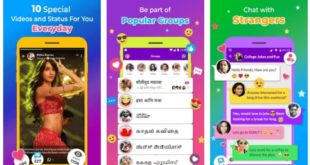 The best method to stumble upon the perfect app for you is using the listed choices one by one. You will easily figure out which one works the best for you then. If you want the firewall app for the rooted device, you know what you should choose. I gave you only one root application and that’s one of the top in the market. Now you tell! Which best Android firewall extension would you like to download for your devices? Share your viewpoint in the comment section!